The German airline Lufthansa, whose planes are pictured in Munich in this March photo, has cancelled hundreds of flights amid a record-setting cabin crew strike. FRANKFURT, Germany - Deutsche Lufthansa canceled almost 1,000 flights for Monday, amid the longest strike by cabin crew in the German airline’s history. After a break in the walkouts on Sunday, work stoppages extended to Lufthansa’s hub at Munich airport on Monday in a dispute over retiremen" benefits and broader cost-cutting. The carrier will announce further steps at about 6 p.m. on Monday after board meetings to discuss the ramifications of the labor action, which the company described as "without precedent in Lufthansa history." Flight attendants went on strike on Monday at 4:30 a.m. in Munich, Frankfurt and Dusseldorf and are set to continue until at least 11 p.m. Work stoppages in Frankfurt and Dusseldorf on Saturday canceled about 520 flights. The UFO flight attendants’ union said Sunday that talks with the airline over disputed retirement rules collapsed, triggering the resumption of strikes that started Friday. The airline is "doing everything it can to mitigate the impact of this utterly excessive action on its customers as much as possible," it said in an emailed statement late Sunday. 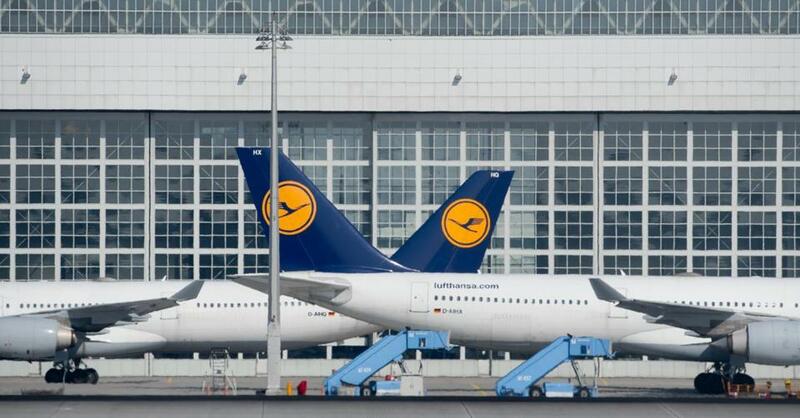 Lufthansa management is "always ready for the resumption of talks." The dispute with flight attendants is part of Lufthansa’s broader struggles with labor as it seeks to push through restructuring plans to better compete with low-cost rivals like EasyJet and Ryanair. A pilot strike last year caused 9,700 cancellations. Unions are also jockeying for position as a new German law could limit collective-bargaining power to only the biggest labor group. Lufthansa shares fell 2.5 percent to 13.60 euros, erasing the stock’s gain for the year. The German carrier on Sunday announced the cancellation of 929 flights to and from the three cities affected by the walkout, disrupting plans for about 113,000 passengers. About 70 percent of the airline group’s services will continue to operate, according to the statement. Lufthansa also owns carriers including Germanwings, Swiss and Austrian Airlines. Following a nine-hour walkout in Frankfurt and Dusseldorf on Friday, the flight attendants held a 17-hour work stoppage on Saturday that led to flight cancellations affecting 58,000 people at both airports. The union’s action targeted domestic and European flights. The union said it may take further action on Tuesday, exceeding a previous three-day walkout in 2012. Labor leaders have vowed to call strikes until Nov. 13. They criticized Lufthansa’s stance after the airline increased its earnings forecast for the year on Oct. 29 and a drop in oil prices contributed to a 51 percent surge in third-quarter operating profit.